The original edition of From God to Us was published in 1974 and has since sold over 78,000 copies. It was an abridgement to the Geisler and Nix classic A General Introduction to the Bible(which weighs in at over 700 pages). This 2012 revision of From God to Us brings it up to date and expands it from 255 pages to 412 pages. This major revision is expected to take the place of A General Introduction to the Bible. 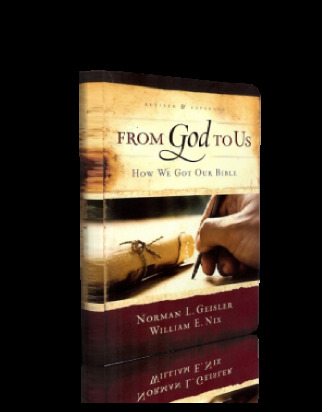 From God to Us is the only book of its kind in print, covering the inspiration, canonization, transmission, and translations of the Bible. The 2013 edition (very slight revision of the 2012 edition with a few minor corrections) is also available as PDF format e-book. The Bible was written in multiple languages by dozens of authors whose lives spanned a period of more than fifteen hundred years. How did it all come together? 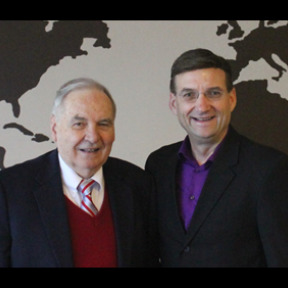 Best-selling authors Norman Geisler and William Nix thoroughly answer this question and many more in this revised and expanded edition of a classic which has sold more than 78,000 copies. Helpful charts, photos, and indices have been added, rendering this book ideally suited for Bible students, pastors, and professors. Major topics addressed include: theories of inspiration, the process of canonization, major manuscripts and recent discoveries, textual criticism, Greek and Latin translations, and modern English translations. The entire field of general biblical introduction is covered. From God to Us will also be available as a DVD lecture set (12 DVDs with Powerpoint presentations) in the future.